The Men's Mission Softshell Pants from Mountain Equipment are a hydrid construction of ExoLite and Windstopper fabrics to provide excellent protection and coverage for the most intimidating mountain missions. 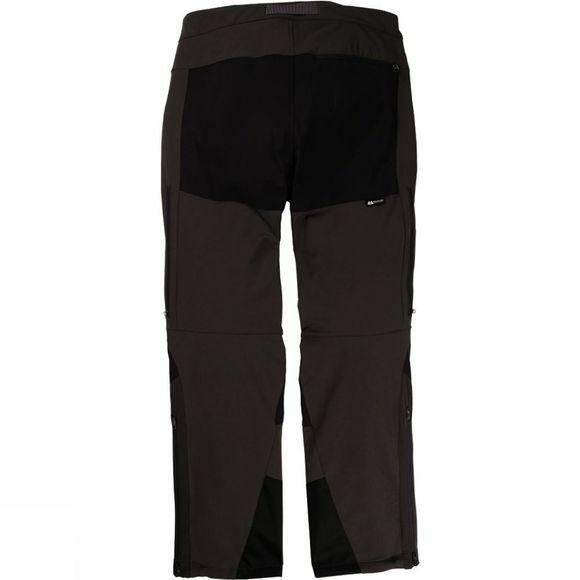 Ideally suited to cold weather mountaineering on technical terrain these trousers boast ventilation zips at the thigh so that you can better control your temperature along with zipped hand pockets for keeping essentials close by. 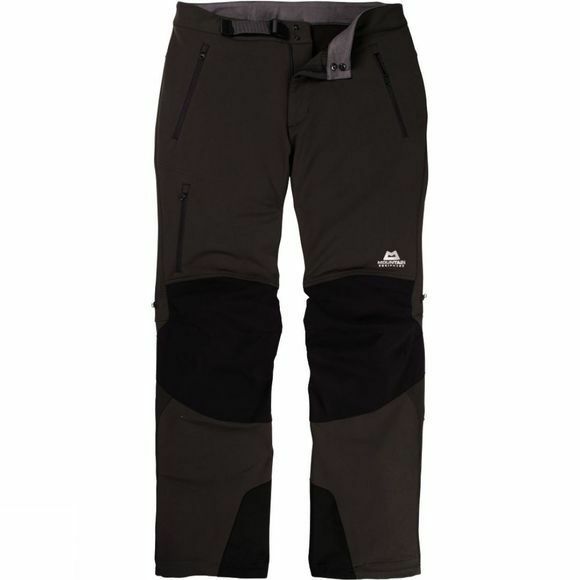 There are re-inforced kick strips for great durability against ski and crampon abrasion while the adjustable ergonomic hem has lace hooks to keep your trouser legs in place and reduce the chance of cold spots creeping up your leg.